Sand Bag is the perfect bag for a day out at the beach with kids. The bag made with 600d polyester has a drawstring closure with adjustable toggle. 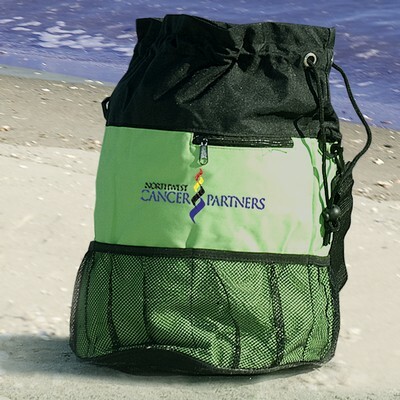 Features a drawstring closure with adjustable toggle and adjustable clip-on shoulder strap. Includes one outer zip pocket and six elasticized mesh pockets. Mesh bottom allows sand to pour out. Dimension: 17" tall; 11" bottom dia. 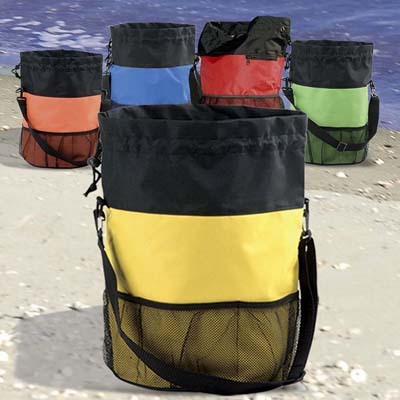 Sand Bag is the perfect bag for a day out at the beach with kids. 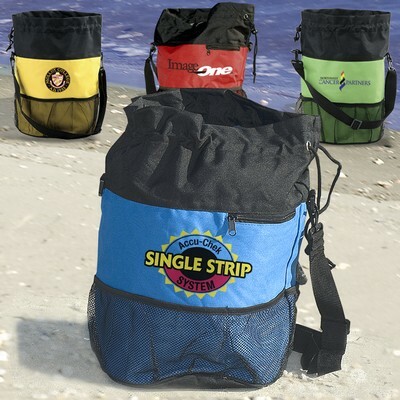 The bag made with 600d polyester has a drawstring closure with adjustable toggle. It also comes with an adjustable clip-on shoulder strap. The bag has one outer zip pocket and six elasticized mesh pockets for storing your essentials and keeping them easily accessible. 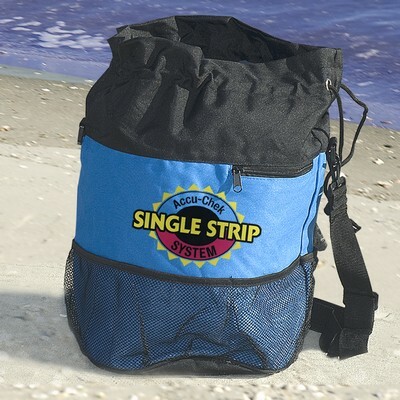 The Bag has a unique mesh bottom that allows sand to pour out. 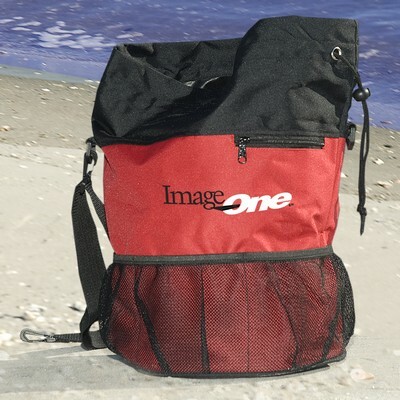 Just imprint your logo on the bag and watch your promotions work while you are chilling at the beach. 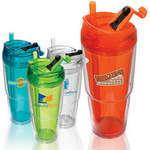 Always carry your fluids along with you even while traveling, with the Two-Way Traveler's Tumbler. It is made from double-wall SAN acrylic with a BPA free polypropylene straw.